A Senate committee has found a royal commission is needed into the abuse of people with disabilities, after a parliamentary inquiry heard "shocking" and "cruel" examples of violence and neglect around Australia. The report, by the Senate's community affairs committee, found that while there are no clear national statistics on the prevalence of violence against people with disability, there is "overwhelming anecdotal evidence". This included accounts of a woman with a disability barricading herself in the laundry while her husband and carer "raged" outside, threatening to kill her. In reports of people living in residential care, one 20-something man with severe quadriplegia was found suffocated. Another young woman with physical disabilities was not able to have a female worker help her with toileting and menstrual care. The inquiry, which began in February, stemmed from a Fairfax Media/ ABC investigation about abuse at Victoria's biggest disability provider. The committee said it was not only "very disturbed" by the evidence it received but by the fact that many cases went unreported or were poorly followed up by authorities. "I urge every Senator, every Australian, to read this report," committee chair Greens senator Rachel Siewert said on Wednesday. Labor's Claire Moore said the committee had not recommended a royal commission lightly. "We would not call for a royal commission if we did not believe it was necessary." Coalition senators on the committee Zed Seselja​ and Joanna Lindgren​ took a slightly more cautious approach in their additional comments. They stopped short of calling for a royal commission immediately, saying a judicial inquiry should be "considered" and they were open to further investigation of "this crucial matter". Under former prime minister Tony Abbott, the Coalition had previously resisted calls for a national inquiry into the abuse of people with disabilities, arguing states and territories had responsibility for disability services. In its report, the committee argued that abuse of people with disabilities was likely to be "far greater in prevalence" than its inquiry had been able to determine, that a royal commission could provide the proper support that witnesses needed to come forward and that many of the allegations it heard were of criminal acts. "Only a royal commission with investigative powers, funded and empowered to visit institutions, could properly conduct and inquiry and give full weight to the seriousness of this issue," it said. Among the 30 recommendations in the report, the committee also calls for the government to set up a national system for reporting and investigating abuse of people with a disability, better training and screening for people employed in the sector and better access to the judicial system for victims. Jane Rosengrave lives with an intellectual disability and gave evidence at the inquiry. There is widespread violence and abuse of people with a disability in institutional and residential settings, a Senate report has found. After inquiry hearings across the country the report made 30 recommendations, including a call for sweeping changes to the regulation of disability workers and the way abuse is reported. The most significant recommendation was the call for a royal commission to investigate the issue. During the public hearings Jane Rosengrave, who lives with an intellectual disability, told her story to the inquiry. "The inquiry actually asked me questions about my childhood when I was put into these institutions," she said. Ms Rosengrave said she vividly remembers physical and sexual abuse in institutions including when she was 13 and asked permission to go swimming. "So I went down to the front office and I told the headmaster," she said. "He said to me 'first do me a big favour' and I said 'what?'. "He said 'go in that other room, pull your pants down and wait for me'. "So after that then he said 'I'll ring up the ward and make sure you go swimming this afternoon, so don't tell anybody please'." Jessica Cadwallader from the Australian Cross Disability Alliance said she supports the call for a royal commission. The reports from the Senate inquiry make 30 recommendations dealing with matters from regulating disability workers to reforming how the legal system treats people with a disability. But it was the stories of pervasive violence and abuse that made the most impact. The inquiry was chaired by Greens Senator Rachel Siewert, who said it was difficult to hear some of the accounts of abuse being told at the hearings. "No matter how prepared you think you are to hear these sorts of accounts, it always hits you. Always. So you can never be fully prepared to hear the sorts of shocking details we heard," Senator Siewert said. The report's number one recommendation was a call for a royal commission into violence, abuse and neglect of people with a disability in institutional and residential care. Jessica Cadwallader from the Australian Cross Disability Alliance drafted its submission to the inquiry and said she supported the call for a royal commission. "These voices have been unheard for so long. They haven't been heard through the justice system," she said. "Very few people have been able to access court proceedings. So they haven't had an opportunity to tell their story." Ms Rosengrave said she also believes a royal commission would give people with a disability who have suffered violence and abuse the chance to be heard. "The more people that can come out and tell their story, to the newspapers, the radio, TV, the more it will be believed what the government didn't do right in the first place," she said. 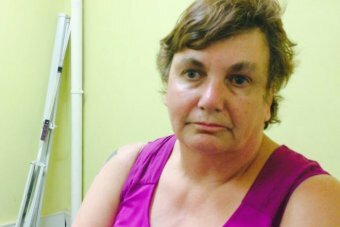 A damning report on the neglect and abuse of people with a disability has used the choking death of Canberra woman Stephanie Fry to warn of the dangers of staff turnover and the increasing reliance on casual support workers. The Senate's community affairs committee inquiry has heard harrowing evidence about violence and abuse in residential care and institutions since it began in February. It released its final report on Wednesday, calling for a royal commission to better investigate the types of "cruel" and "shocking" examples put before the inquiry. On Thursday, Social Services Minister Christian Porter said the government would consider the committee's 30 recommendations, which also include a national watchdog to investigate abuse and better screening for people employed in the sector. "Violence, abuse and neglect of people with disability is abhorrent regardless of the situation, scale or location in which they occur," a spokesman for Mr Porter said. "The committee's inquiry and report shines a much needed light on this important problem. "The Commonwealth will carefully consider the inquiry's findings and recommendations before deciding whether there is a need for further investigative processes." The committee cited the death of Ms Fry, a resident of a Disability ACT group home in Stirling, as it highlighted the dangers of relying too heavily on casual workers in unfamiliar environments. The circumstances of that case were uncovered during a Fairfax Media investigation, which was published last week, showing Ms Fry had been fed bread and left unsupervised by unfamiliar casual workers who had failed to heed stark choking warnings contained on her file. "Evidence presented to the inquiry indicated that the casualisation of the disability workforce, and the likelihood it will increase under the NDIS, is a key contributor to abuse and neglect of people with disability." That echoes the views of local disability advocates, such as Advocacy for Inclusion chief executive officer Christina Ryan, who have warned it is crucial to address systemic workforce issues before the NDIS transition is complete. Greens senator Rachel Siewert, who chaired the committee, said she was confident that when the government read the detail of the report, it would see the need for a royal commission. "I think we make a very compelling argument for these changes," she said. The government's cautious response comes as disability advocates backed the call for a royal commission. Therese Sands, co-chief executive of People with Disability Australia, said the Senate committee's recommendation of a royal commission was warranted. "Enough is enough. This is our nation's opportunity to show those that have been failed by the system that they deserve justice," she said. "The significant level of violence perpetrated against people with disability in institutional and residential settings warrants the establishment of a royal commission and we wholeheartedly support the recommendation made in the report." People with Disability Australia and Australian Cross Disability Alliance held a memorial on Wednesday to remember those with disability who lost their lives to violence, abuse and neglect. 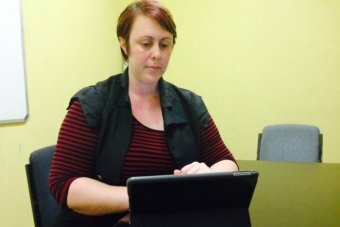 Other disability advocates welcomed the call for tougher standards on staff working with the country's most vulnerable people, but warned the National Disability Insurance Scheme would not solve training requirements. The inquiry heard evidence from people with disabilities and staff that poor training was leading to deaths, injuries and abuse. The inquiry, which focused on people in residential settings, was told that the proportion of casual disability workers was likely to increase under the NDIS. "There is also a risk … that the casualisation of the workforce will increase – and we know that there is an association between high workforce turnover, in the context of workforce shortages, and the prevalence of abuse and neglect," National Disability Services chief executive Ken Baker told the inquiry. Liz Kelly, a management consultant and mother of a child with a disability, welcomed the recommendation for a national staff registration scheme and independent oversight of workers but said the sector needed more funding for staff training and support. "It's great to see these recommendations ahead of the full NDIS roll out but where is the money to support them going to come from?" she said. "There has to be greater investment in staff training. Providers are saying loudly and clearly that the funding amounts set under the NDIS will not cover staff training and development." Chief executive of Northcott Disability Services Kerry Stubbs said improved oversight and a mandatory reporting scheme recommended by the committee would help to prevent abuse and neglect. "While we understand the desire to hold a royal commission to further investigate this issue we hope it doesn't slow up the implementation of the excellent recommendations that have been made by the committee," she said.